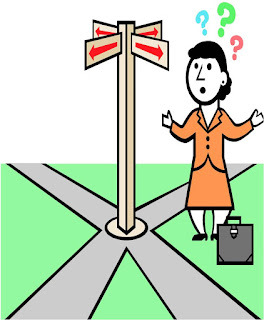 • Are you in Career Transition and confused about your career direction? • What career will make you happy? • What are your extrinsic and intrinsic needs, your unmet needs? • Have you ever had a high paying job, where you were miserable? • Have you had a less prestigious or lower paying job, where you were happy? Most career tests only access your extrinsic needs and ignore intrinsic needs. Read on to learn about career motivation factors which impact your career transition. As a business career counselor, I help clients explore their career choices and uncover career paths which meet their needs. Career testing is an important part of the process. Choosing the correct assessment tool and having it interpreted by a qualified person is essential. This process will help you uncover career options and expand the range of potential careers which you can consider. Most people do not even know the entire range of jobs or job titles which they are qualified for. They may only apply to a limited number of jobs and may be stuck in a rut. A thougthful approach to career transtions can help you determine your industry, sector, job category, functional role and job titles. 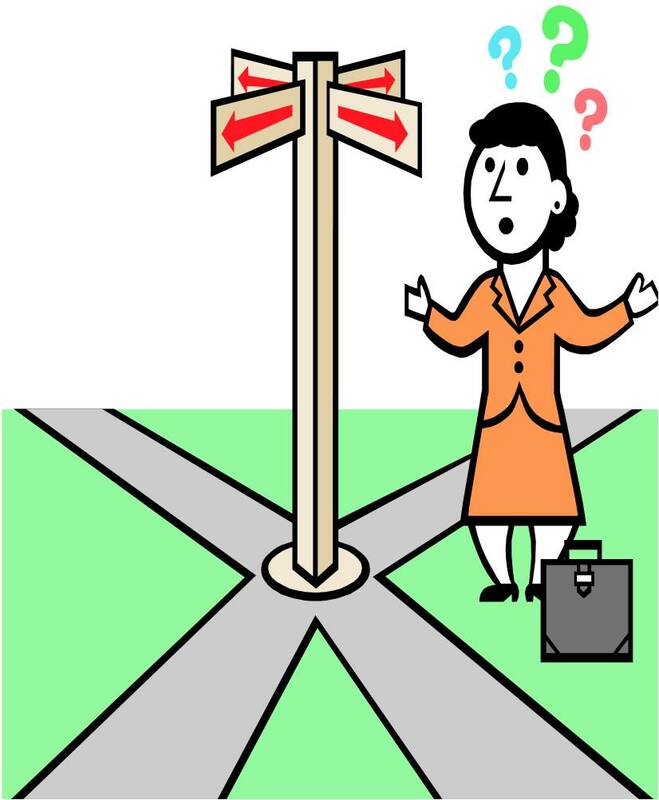 If you are confused or unclear about your career direction, this confusion can ruin your chances in an interview. A counselor who is experienced in your business sector, can also tell you if your career choice is realistic and help you explore labor market trends. You do not want to jump into a new career sector, only to have it go belly up in the next six months. When considering what would make you happy at work, consider what motivates you and what your needs are. What will motivate one individual, may not work with another. In graduate school, my professor always said “Career Counseling is Personal Counseling.” You cannot help someone with the intimate details of their career without knowing who they are as a person. In addition to testing, a skilled counselor will also access your lifestyle needs, personality, motivators, family responsibilities etc. These are factors which are not usually included in most career tests. Our social, emotional and psychological needs will impact our happiness and satisfaction with a particular work role. Your career path and career needs are unique. I’d like to share a story about friend of mine from University. We both studied Psychology at the University of British Columbia, and then went on to graduate school. We completed our Clinical Psychology internships at a Drop in Addictions Clinic, for the Canadian Federal government. Our job titles and job duties were identical. We were both assigned roles as junior counselors had to counsel clients suffering with addictions, provide relapse prevention workshops and conduct clinical and psychometric testing. What I loved the most about my job was meeting with clients, talking through their issues and helping them problem solve. What I liked the least about my job was completing all of the government paperwork in triplicate and the bureaucracy associated with a Federal job. In contrast, my friend dreaded meeting with clients and she preferred working with the clinical data and doing research. She would get incredibly anxious before meeting with a client or before presenting and would endlessly rehearse what to say. As much as possible, she avoided meeting with clients and did as little of this as she could. We both completed our internships and then proceeded to our first, job search. My friend realized that she didn’t want to work with clients directly; she wanted to do psychological or gerontology research in a laboratory. She was much more comfortable working with data and devices than people. To avoid going into a counseling practice, she immediately went on to do her PhD. I couldn’t wait to begin my first job and work with real clients. I loved counseling, teaching and writing. You couldn’t pay me enough, to work alone in a lab and sift through reams of statistical data. You couldn’t pay my friend enough, to present lectures to 500+ students and counsel individuals on a daily basis. Our education and experience is similar; yet our career paths are quite divergent. When considering your career needs, you will need to differentiate between intrinsic and extrinsic motivation. Intrinsic motivation is internally driven and comes from inside an individual rather than from any external or outside rewards. The motivation comes from the pleasure one gets from the task itself or from the sense of satisfaction in completing or even working on a task. Extrinsic motivation refers to the tangible rewards you receive from your work such as salary, compensation etc. The chart below was created for clinical, counseling work. To see the original chart go to http://www.edpsycinteractive.org/topics/motivation/motivate.html However, I have adapted it for use in a career counseling context. I use this chart in client sessions and together we sort through these motivators. Each of us will have different different balance of variables which can make us happy. There isn’t a right or wrong answer when it comes to career exploration. If you are in career transition, I’d encourage you to explore the relevance and strength of each of these motivators below. How can each category of needs affect your happiness at work? • Push vs Pull. Is it your goal to obtain desired, pleasant consequences (rewards, salary, bonus’)? Is it your goal to escape/avoid undesired, unpleasant consequences (angry boss, unhappy customers, failed projects)? • Are you just running away from your current profession or are you genuinely attracted to a new profession? • Are there positive role models or people who you can emulate? • How important is it for you to be a part of a group or a valued member of the work team? • How important is your actual work environment: do you prefer a lively or sedate work environment? • What do you like in your office? Does your décor impact the senses (taste, touch, smell, etc. decrease hunger, thirst, discomfort)? • Is it important for you to do meaningful work or to understand why your contribution is important? • How comfortable are you with uncertainty, changes and/or cognitive disequilibrium? • Do you enjoy solving problems or making decisions, or would you prefer others do this for you? • Do you like calculations or figuring something out? • Do you prefer to eliminate threat or risks? • How comfortable are you with conflict (increase/decrease affective dissonance)? • Are you drawn to activities which increase good feelings? • Are you drawn to activities which decrease bad feelings? • Do you need a high level of work security? Do you attempt to decrease any threats to your self-esteem? • Can you typically, maintain high levels of optimism and enthusiasm? • Do you like to choose your own performance goals? Do you like to strive towards company-selected goals? • Is your career choice related to your dream job? • Do you strive to develop or maintain self-efficacy at work? • Do you prefer to take control of your work life? • Do you prefer to eliminate threats which impede attainment of your dream job? • How much control would you like others’ to have over your career? • How does your work relate to your life’s purpose? • How does your work connect you to your spiritual or religious self? © 2010 - All Rights Reserved - Sharon B. Cohen, MA, Counseling Psychology, CPRP. Licensed Counselor. Career Counselor and Career Transition Specialist. Atlanta, GA. "Helping business professionals, reach their career potential!" On LinkedIn: "Sharon B. Cohen"